Since then, I’ve been using Sonicare (and Sonicare lasts you a good 3-5 years depending on how well you maintain the toothbrush). 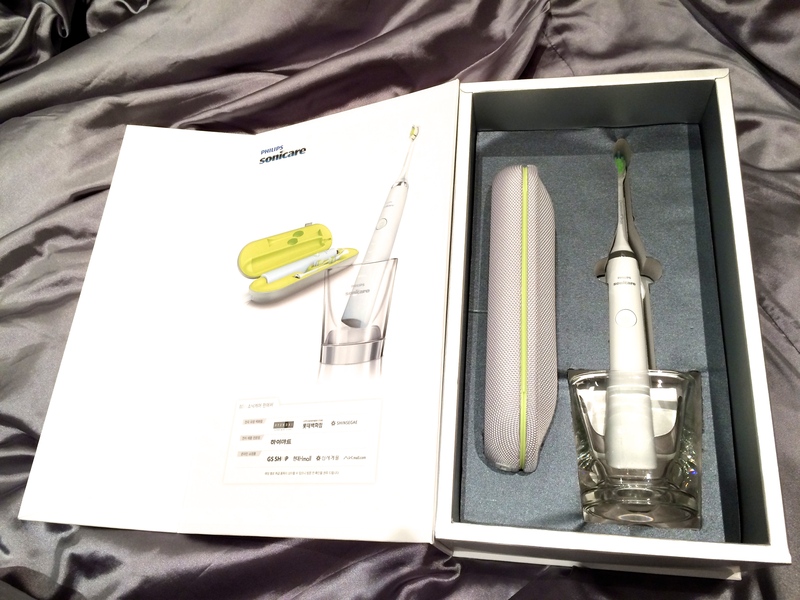 I was using their Healthy White model and recently, I decided to give their top of the line model a try – Diamond Clean. Sonicare is keeping it current for those tech-savvy peeps(which is practically everyone) by creating a USB charger built into the travel case for people like us who are always on the go! And you must also be wondering why the toothbrush packaging also came with a whiskey-like glass. That’s actually the charger and water glass for your daily use! How smart and sleek is that? With their toothbrush case updated in the design (the previous one from Healthy White was just a plain plastic white case), it’s nicer to carry it in you handbag or even slim enough to fit it into your clutch ladies! We can now brush your teeth at work, after lunch or in my case, before a photoshoot to ensure that perfect smile every time. As you all know that I am now living in Hong Kong, the apartments here are wayyyyyy smaller than those back home in Singapore. So compact is key! 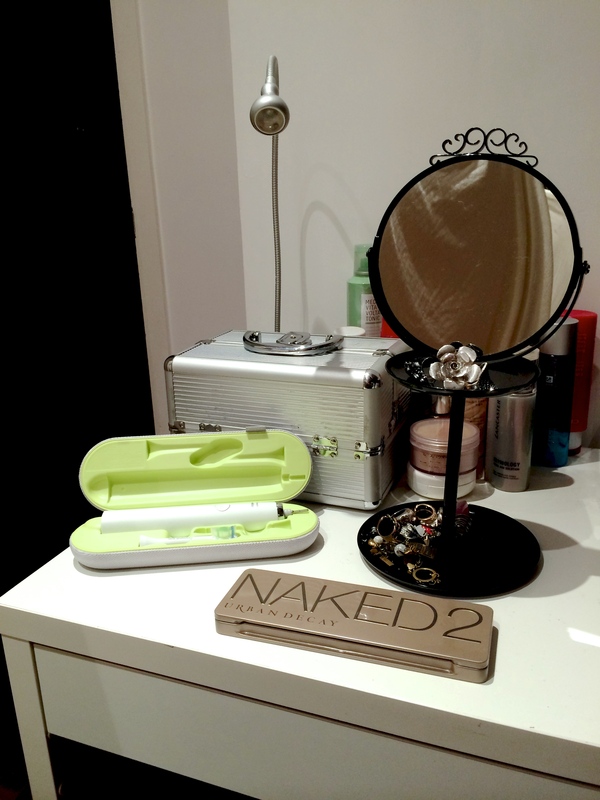 And it’s nice to see Diamond Clean fitting right in on my make-up table before I whisk it off for shoots in my bag without taking up too much space. 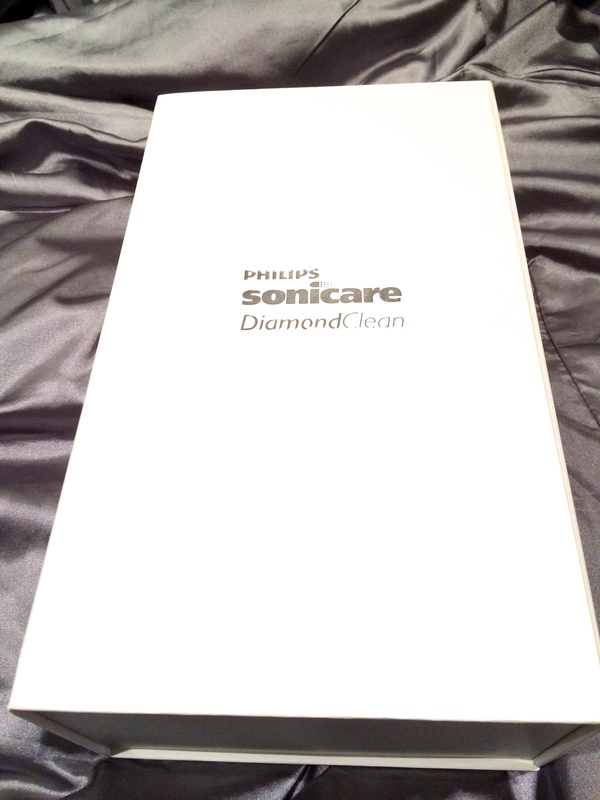 So yeah… I am an extremely satisfied & loyal customer to Philips Sonicare and now with the Diamond Clean, I am definitely looking forward to even whiter and sparkly smiles for my photoshoots! Well good things don’t come cheap right as it has a heftier price-tag because it is the top of the line for Sonicare. (Guys, they have a more masculine Black edition) To me, it is absolutely money well spent! Retailing at HKD$1798 or SGD$319. Find it at most departmental stores like Robinsons, Sogo & Fortress etc. Happy Easter & Happy smiles everyone!